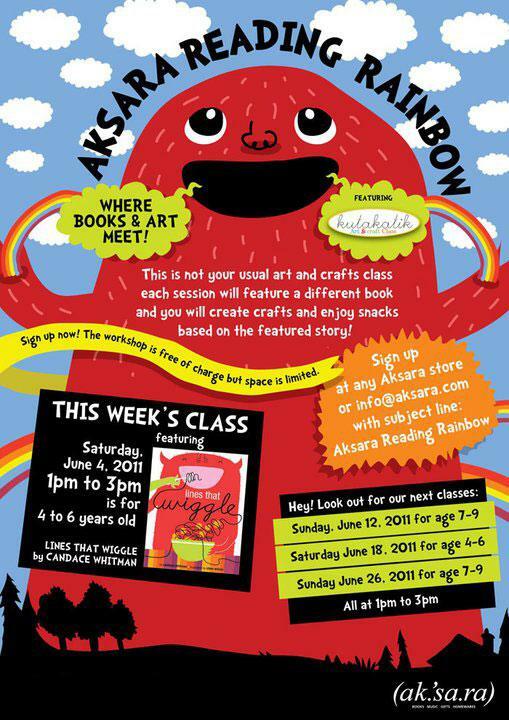 Come to Aksara Reading Rainbow featuring Kutakatik! Where books and art meet! Saturday,June 4th, 2011, 1pm-3pm, for age 4-6yo. It’s free but space is limited.